Ingrid Winter is desperately trying to hold it all together. 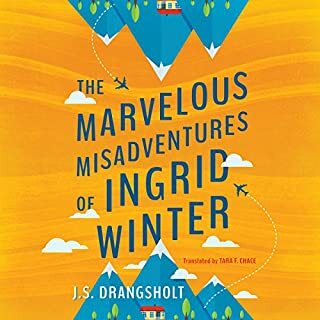 A neurotic Norwegian mother of three small children and an overworked literature professor with an overactive imagination, Ingrid feels like her life's always on the brink of chaos. On an island in Maine, four siblings arrive at their sprawling, old summer place for the Fourth of July. It's the Willoughbys' first summer without their parents, and their beloved house is falling apart. When a substantial offer is made on the estate, the two brothers and two sisters are forced to confront issues they had hoped to keep hidden. 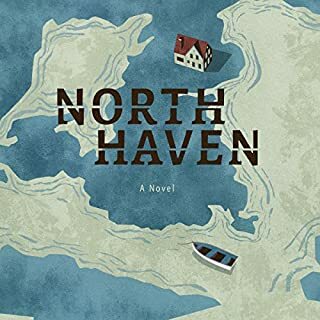 An homage to the layers and limits of the family bond, North Haven explores the shifting allegiances between siblings as they contend with their inheritance. London, 1944. Two young nurses meet at a train station with a common purpose: to join the war effort. Scarlet longs for the chance to find her missing fiancé, Thomas, and to prove to her family - and to herself - that she's stronger than everybody thinks. Nursing is in Ellie's blood, but her humble background is vastly different from Scarlet's privileged upbringing. Though Ellie puts on a brave face, she's just as nervous as Scarlet about what awaits them in France. Single mother Maisey Addington has always fallen short of her own mother’s expectations - never married, a bit adrift, wasting her high IQ on dead-end jobs. 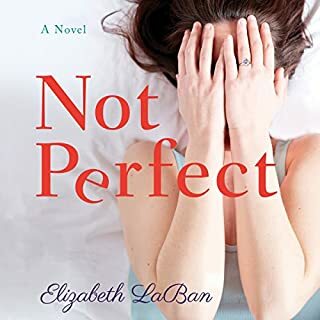 The only thing Maisey’s sure she’s gotten right is her relationship with her 12-year-old daughter, Elle…until a phone call blows apart the precarious balance of their lives. Maisey’s mother is in a coma, and her aging father faces charges of abuse and neglect. Back at her childhood home, Maisey must make a heartrending life-or-death decision. Searching for answers, Maisey uncovers one unspeakable secret after another. From the outside, Sycamore Glen, North Carolina, might look like the perfect all-American neighborhood. But behind the white picket fences lies a web of secrets that reach from house to house. Up and down the streets, neighbors quietly bear the weight of their own pasts - until an accident at the community pool upsets the delicate equilibrium. And when tragic circumstances compel a woman to return to Sycamore Glen after years of self-imposed banishment, the tangle of the neighbors' intertwined lives begins to unravel. Tabitha Brewer wakes up one morning to find her husband gone, leaving her no way to support herself and their two children, never mind their upscale Philadelphia lifestyle. She'd confess her situation to her friends - if it wasn't for those dreadful words of warning in his goodbye note: "I'll tell them what you did." Markie, a fortysomething divorcée who has suffered a humiliating and very public fall from marital, financial, and professional grace, moves, along with her teenage son, Jesse, to a new town, hoping to lick her wounds in private. But Markie and Jesse are unable to escape the attention of their new neighbor Mrs. Saint, an irascible, elderly New European woman who takes it upon herself, along with her ragtag group of "defectives," to identify and fix the flaws in those around her, whether they want her to or not. Reporter Diana Marcum is in crisis. A long-buried personal sadness is enfolding her - and her career is stalled - when she stumbles upon an unusual group of immigrants living in rural California. She follows them on their annual return to the remote Azores islands in the Atlantic Ocean, where bulls run down village streets, volcanoes are active, and the people celebrate festas to ease their saudade, a longing so deep that the Portuguese word for it can’t be fully translated. Nineteen-year-old Aldine McKenna is stuck at home with her sister and aunt in a Scottish village in 1929 when two Mormon missionaries ring the doorbell. Aldine's sister converts and moves to America to marry, and Aldine follows, hoping to find the life she's meant to lead and the person she's meant to love. In New York, Aldine answers an ad soliciting a teacher for a one-room schoolhouse in a place she can't possibly imagine: drought-stricken Kansas. An ordinary outing takes Greta, Alex, and four-year-old Smilla across Sweden's mythical Lake Malice to a tiny, isolated island. While father and daughter tramp into the trees, Greta stays behind in the boat, lulled into a reverie by the misty, moody lake...only later to discover that the two haven't returned. Her frantic search proves futile. They've disappeared without a trace. After a tragic accident on Martha's Vineyard, keeping secrets becomes a way of life for the Tangle family. With memories locked away, the sisters take divergent paths. Callie disappears, Mimi keeps so busy she has no time to think, and Ginger develops a lifelong aversion to risk that threatens the relationships she holds most dear. When a whispered comment overheard by her rebellious teenage daughter forces Ginger to reveal a long-held family secret, the Tangles' carefully constructed web of lies begins to unravel. Best friends Annie and Sarah need cash - fast. Sarah, a beautiful, successful lawyer, wants nothing more than to have a baby. But balancing IVF treatments with a grueling eighty-hour workweek is no walk in the park. Meanwhile, Annie, a Harvard-grad chemist recently transplanted to Southern California, is cutting coupons to afford her young autistic son's expensive therapy. The people who call End of the Line need hope. They need reassurance that life is worth living. But some are unlucky enough to get through to Laura. Laura doesn’t want them to hope. She wants them to die. Laura hasn’t had it easy: she's survived sickness and a difficult marriage only to find herself heading for forty, unsettled and angry. She doesn't love talking to people worse off than she is. She craves it. But now someone’s on to her - Ryan, whose world falls apart when his pregnant wife ends her life, hand in hand with a stranger. Evelyn Tester is sleepwalking through her suburban life - until a late-night phone call startles her awake. Her husband, a prestigious psychiatrist, has been in an accident. And he isn't alone. Suddenly Evelyn's world isn't as tidy as she thought. And in the midst of it all is Juliette, not only her husband's secret lover but also his patient. If news of the affair were to get out, it would ruin more than just Evelyn's marriage. Although it's a bitter pill for Evelyn to swallow, protecting her family means staying silent. When Patrick Dielman shows up at Detective Jo Larsen's desk insisting that his wife, Jenny, is missing, Jo wonders if it's a case of a bored housewife running away. 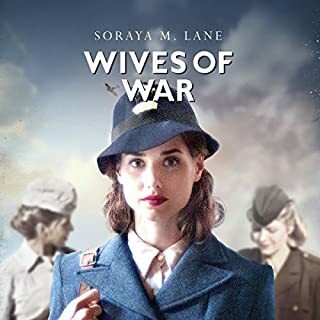 But as she digs deeper into Jenny's life, Jo learns that Dielman keeps a stranglehold on the family finances, down to the last nickel, and that Jenny's first marriage dissolved following the death of her young son. Banking heiress Trish and her husband, James, seem to have it all, from a lavish lifestyle to a historic mansion in the nation’s capital. The only thing that’s missing to make their family complete is a baby, so when Trish holds Anne Elise in her arms for the first time, it’s no surprise that she falls deeply in love. There’s just one problem: Trish isn’t the mother. The baby belongs to Laurel, James’s young mistress. And more than that, James and Laurel want to start a new life together - despite an ironclad prenup standing in their way. Hannah Howard is a Columbia University freshman when she lands a hostess job at Picholine, a Michelin-starred restaurant in Manhattan. Eighteen years old and eager to learn, she’s invigorated by the manic energy and knife-sharp focus of the crew. By day Hannah explores the Columbia arts scene, struggling to find her place. By night she’s intoxicated by boxes of heady truffles and intrigued by the food industry’s insiders. She’s hungry for knowledge, success, and love, but she’s also ravenous because she hasn’t eaten more than yogurt and coffee in days. 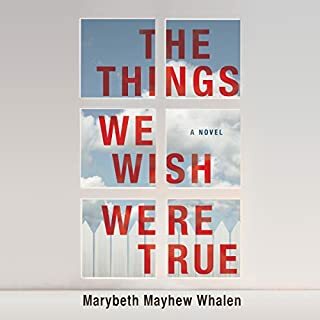 From the New York Times bestselling author of Whistling in the Dark comes an unforgettable novel that illuminates the sweet and brittle bonds of family, the tenderness of growing up, the heartbreak of longing for what we've lost, and the poignancy of finding love. FACT: Unbeknownst to eleven-year-old Theresa "Tessie" Finley, she's in over her head. 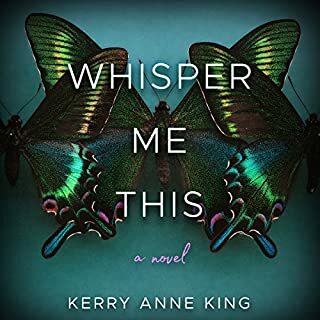 PROOF: After hearing a scream and catching a glimpse of a mysterious man carrying a body beneath the flickering streetlights in the cemetery behind her house, Tessie adds solving a murder case to her already quite full to-do list. Tessie has elected herself president of the crime-stopping Mutual Admiration Society - as if dealing with her "sad madness" over the tragic drowning of her beloved father; showering tender loving care on her "sweet but weird" younger sister, Birdie; and staying on the good side of their hard-edged mother weren't enough. With partner in crime Charlie "Cue Ball" Garfield, Tessie and Birdie will need to dodge the gossips in their 1950s blue-collar neighborhood - particularly their evil next-door neighbor, Gert Klement, who'd like nothing better than to send the sisters to "homes." And, of course, there's the problem of steering clear of the kidnapping murderer if they have any hope of solving the mystery of all mysteries: the mystery of life. 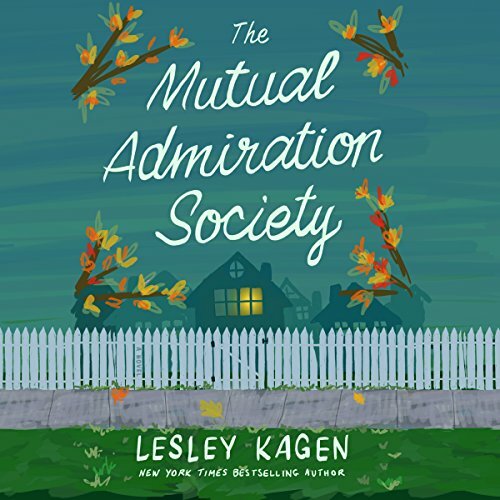 A rich and charming tour de force, The Mutual Admiration Society showcases Lesley Kagen's marvelous storytelling talents. Laced with heartwarming humor and heartbreaking grief, this novel is nothing short of magical. Twisted metaphors funny and how. Impressive and clever writing marks this as an enjoyable book about a young girl and her scewed outlook on her life. An aspiring gumshoe living in the late 1950's, she uses her wild imagination to get her through each day while caring for her younger sister. This is all in the wake of her young father dying and her mother's distractions. Her wildly enterprising ways of coping with their lives will keep you guessing all the way through to the end. Funny and heart warming. A delightful story. I am so glad this book was available on Audible. it was a sweet story from the perspective of an 11 year old girl who is trying to solve "crimes" with her younger sister. funny and an easy listen. loved the story, highly recommend. Loveds the story and couldn't stop listening,Was easy to feel like u were right there in the story! This story is set in the 1950's; a simpler and more innocent time when children played outside and their imaginations were encouraged and stretched. I just loved Tessie and her amazing imagination as she set about to solve crimes while caring for her younger sister, who had some sort of challenge, having repeated the 3rd grade and whom Tessie did her best to protect. The characters are wonderful and relatable. I thoroughly enjoyed the read and more so through Audible. Dara Rosenberg was fabulous!! The narration really made this book for me. It was wonderfully performed. Thank you Lesley Kagen for the lovely story (in the midst of difficult circumstance) and Dara Rosenberg for the icing on the cake with your narration. I enjoyed this trip back through childhood. there were lots of witty phrases and interesting turns in the story. I find it interesting that this isn't considered middle grades or young adult as it features an 11-year-old as the main character. I found Tessie funny - she is solving crimes now so she will know how to be a criminal when she grows up. Though I also felt sorry for her as she has had to take on a lot of the responsibility of caring for her sister and herself. Set in an era when children could run wild in the neighborhood (and still be good kids), this was a fun mystery. The book was difficult to read due to the style of writing with lengthy run away sentences probably meant to reflect this poor girls thought processes. So I tried the audio version. It was well read but nothing could make this young girl admirable. She had an occasional attribute like an understanding that her sister needed her help but she had a foul mouth, lied when it wasn't necessary, shop lifted as though it was her right, peeked through neighbors windows. Yes, her home life was awful with no respected adult in her life. Maybe I'm niave and this is normal life somewhere in this world, but I won't be reading anything more about this girl. Poor story-telling. Cursing. Normalizes bigotry. The viewpoint of a young girl is initially interesting but soon tiresome - e.g., this character is very scatter-brained and that makes it difficult to move the storyline forward. This character says lots of PG-13 curse words - so not appropriate for younger readers. Finally, there are lots of ethnic slurs used in this story - made even more offensive because they serve no purpose and not done in a way to condemn this kind of behavior. The way the author uses bigotry seems to mainstream, normalize or even approve of this behavior - I found that very distasteful. What about Dara Rosenberg’s performance did you like? I like a good mystery, and from the reviews and the summary I thought it was going to be a sweet kid-mystery story. This is anything but that. The kids are bratty and foul-mouthed and shouldn't be written as this young. They sound more like rebellious teenagers, so much so that I stopped listening and didn't even finish the story. There is language and talk of things kids should not see. The narrator makes them sound older than they are written and there is no softness or sympathy sound in her voice even when talking about losing their dad. There is only the sound of rebellion. The main character is determined to be a criminal, it's why she wants to investigate, not so she can solve crimes but so she can learn to commit them and get away with it. And she is only 11. It is NOT a sweet story.